After developing an app, it is imperative to have the apps uploaded on independent app stores where they get ample scope to be publicized. With every good idea for a great new app, one needs the right strategy to market it. The audience needs to be kept in mind and an apt team to design and code it is required. For distribution of apps, the Google Play Store for Android apps and the App Store for Apple are the best. But one needs to achieve, success and sales by getting the app shipped with few optimization techniques and better app ratings, which are crucial for their discoverability. The official app markets are the best in many ways. But the independent app stores can help your app to explore the market deeper to aid you in the task of raising the app’s profile and getting it noticed. Independent app stores can help you target a specific audience and even offer a better deal sometimes than the standard 70/30% split offered by the official stores. Even the app can be labeled a white label item while some stores offer a less cluttered space for the app to stand out from the others. The indie app stores offer very good monetization options to entice more publishers towards their service. Some stores like the Amazon’s app store, offer in-app purchasing and an easy 1-click payment scheme that helps reduces friction in deriving more app revenues from users. We all know how app users can easily be turned off by long-drawn, multi-step actions that could have otherwise lead to a quick buying decision. Then there is of course, the benefit of scale. Simply put, the more channels you put your app on, the higher the likelihood of it being discovered by your intended audience. 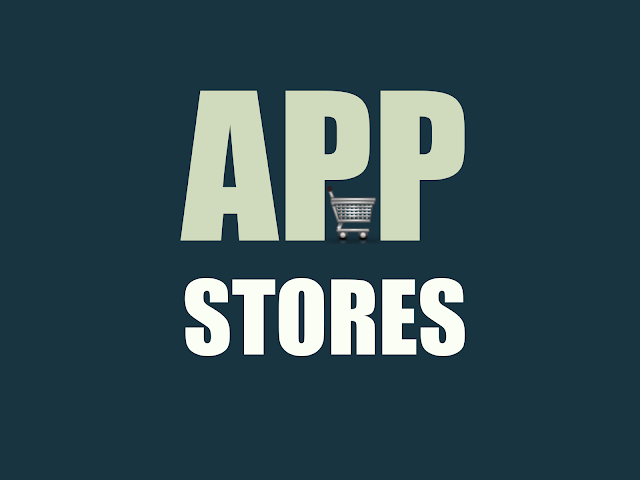 Hopefully by now you are already convinced of the huge potential of indie app stores in helping you get more revenues and downloads for your app. Getjar has featured billions of downloads to date and nearly a million registered app developers, being the single largest app store in the online world. It has a sizeable number of Android apps and is known to be an efficient distribution platform for all app developers. GetJar features a compact reward and virtual currency system, which allows users to earn reward points for app recommendations. The rewards help in using app upgrades, themes, and several unlocks. GetJar Gold is a virtual currency used for purchasing premium apps. These reward systems and the cross-platform compatibility features of GetJar, make it one of the best independent app stores. The Amazon app store offers exclusive Android apps including some of the most popular ones including Angry Birds, Fruit Ninja, Shazam, and some others. It offers several apps that one can find on Google Play. Most apps in the Amazon store can be found on the Play Store but this store can provide access to another large market of users. It also includes ratings, reviews and screenshots of the apps with the help of an Android handset simulator. One feature that helps the Amazon store to tower above the rest of the stores is that it offers a try-before-you-buy scheme; which is great for prospective customers and a fantastic way to ensure better sales. The AndSpot App Store is an independent App store that uses social network sites to help users to spot apps. Activity feeds, profiles and recommendations are used to a great extent to assess the users’ interest instead of a normal search through endless categories. It also includes a discussion board to discuss apps and features, allowing users to choose whether they want to share apps and also offers a competitive part of the revenue from the apps sold. Appolicious is an app store, which assists users to discover and share iOS and Android apps through social recommendations, especially through user reviews and the editorial team. The team posts new app articles and video reviews. The store is a completely independent company and not affiliated to mobile providers, thus offering unbiased recommendations always. Chomp is an app store, which includes a clever search engine for several apps. It also includes a proprietary algorithm system, which facilitates user search based on the selective apps. One can start finding great apps and also helps users to write reviews on the apps they like. The store also includes a live stream of opinion from the celebs of the online app world. But the app store has been bought already by Apple and incorporated it under its banner. SlideME is one of the oldest Android app marketplaces, and incepted even before Google Play did. SlideME is installed in nearly half of Android devices, which do not include Google Play. SlideMe charges 20% of the app rate, and includes a range of payment options. Chances are, that your Android app might earn you better with SlideME and result in more downloads than on Google Play. 1Mobile Market only accepts free apps and yet works great as an alternative to Google Play. Uploading apps is free on this store, and their approval process needs to be cracked to gain entry. Mostly, all apps that don’t contain malware would be able to gain access. The store claims to have 100 million+ installations of the listed 800,000 apps. User recommendations are issued based on their preferences, for discovering new apps. F-droid contains free and open source apps, from which you can download apps from its site or through the official app. The F-droid app helps users to automatically updates every app that has been installed through their store. Volunteers run the site and the app and it relies on donations to pay their bills. F-droid apps need to have an open source license of Apache and GNU. Paid add-ons or ads through the apps are allowed, but will not be displayed by default. Mobile9 includes 40 million active users, who can share and comment on apps they have installed. It is like a growing social network for apps, which also helps apps to be published on the site for free. The site boasts of about 200 million downloads per month of popular apps developed by nearly 30,000 developers. Publishing apps is free on Opera Mobile Store, wherein developers get 70% of the app revenue. Opera features heavily on Yandex, which is Russia's biggest search engine, owing to a mutual agreement. Opera's apps are displayed and promoted in the Yandex App Store and vice-versa. About 200,000 apps present in the store receive a whopping 100 million visitors per month. More than 2 million apps are downloaded every day too! Quan Do is a developer at Appiphany, App Developers Australia. He is passionate about all things mobile and tablet.